e the mysteries of the murders and who the killer was, but instead find themselves trying to survive the night with all of the animatronics. The owner and creator of the restaurant was Charlie’s father, giving Charlie insight into many secrets but not all of them. 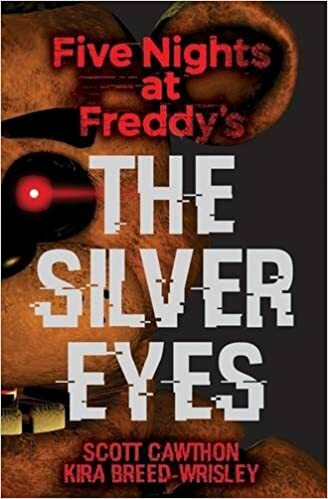 “The Silver Eyes” was a book full of mysteries and was told in third person point of view. I thought the story was interesting and was suspenseful. As I read the story, I grew attached to some of the characters and I was beginning to think that the book wouldn’t be creepy at all. Although I was wrong about that , the story was filled with some moments of delight. But was mostly is was filled with people being injured or possibly worse. This is not a book for the squeamish. I would recommend this book to people who enjoy mystery and horror stories. While I was reading, I found that I really enjoyed the plot and if a second book were to come out, I would read it.